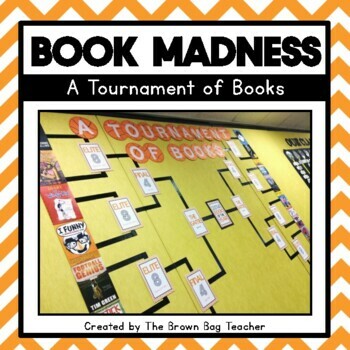 March Madness is here in more ways than one! 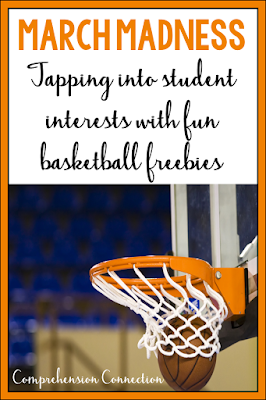 Your students may be thinking about basketball and watching for their favorite teams to win. We, on the other hand, are thinking about how many days we have left before state testing (and whether our favorite teams are going to make it to the final four!). 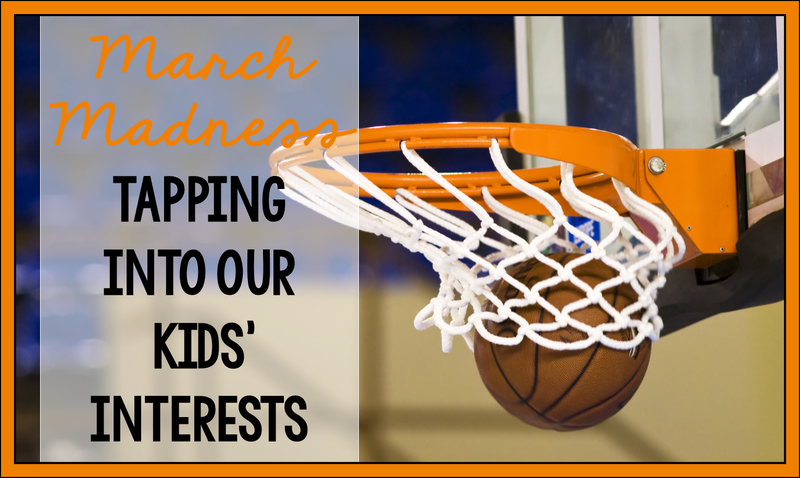 In honor of March Madness, I thought I'd share teaching ideas with a basketball twist. Of course, one of the first options with a basketball theme is to use biographies of basketball greats. The kiddos in your classroom have a list of their favorites no doubt, and you can find biographies of most of them. 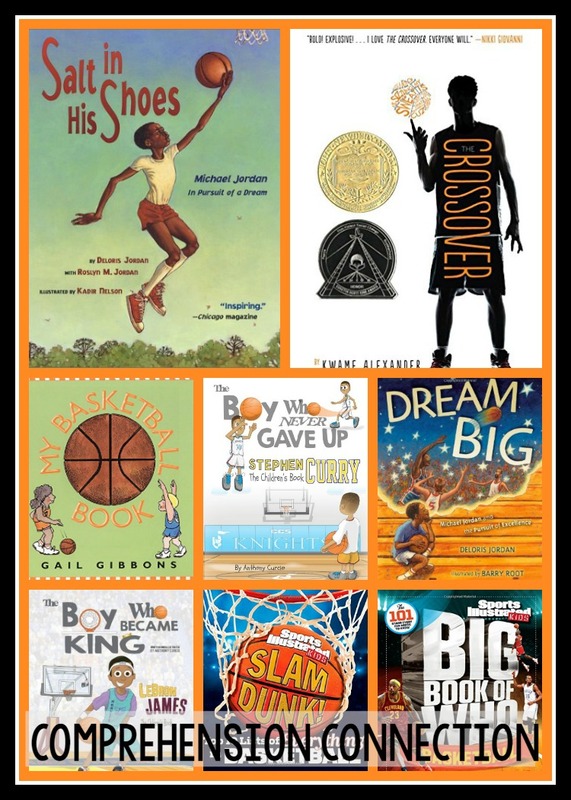 There are great books out for Stephen Curry, Michael Jordan, Lebron James, and many others. Other options we can find are picture books about parts of these players' lives. Salt in His Shoes, The Boy Who Never Gave Up, The Boy Who Became the King, and Dream Big are just a few you might check out. 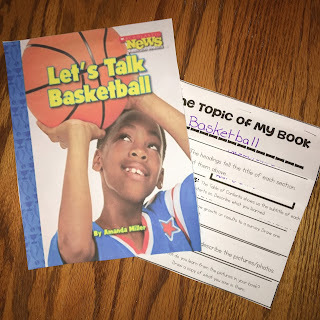 Finally, we can bring in nonfiction skills with informational texts on how the game is played. One that looked really great to me is Let's Talk Basketball. It had all of the nonfiction elements, and we're using it this week for teaching nonfiction text features. You can download the flipbook by clicking the image to the left. The nonfiction features are those listed in the first grade standard, so it doesn't include them all. Even so, it would work well in a station for grades 1-3 I think. This freebie looks so fun, and I can see this being a great team building, cross curricular activity. I love the idea of problem solving and team planning to build oral skills. Kids need LOTS of oral discussion, and activities such as this capitalize on these skills. 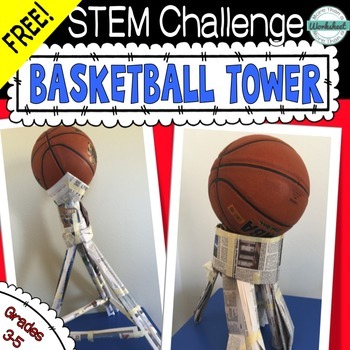 Teachers can also bring in writing skills by having kids write the directions for how they build the basketball tower. During March Madness, it is a lot of fun to research basketball greats. 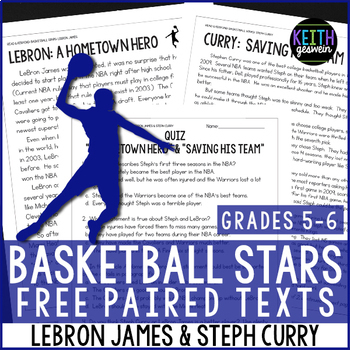 These close reading sets feature two players, Lebron James and Stephan Curry. They work well for teaching close reading procedures as well as questioning skills such as analyzing question types and finding text evidence to support thinking. 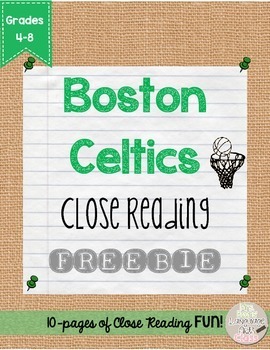 This freebie is focused on professional basketball versus NCAA, but since March highlights basketball, it might work well. Reader's Theater is a fantastic teaching strategy for building fluency, comprehension, and questioning. This freebie from my friend, Erin at Mrs. Beers Language Arts Class is perfect for your little sports fans. 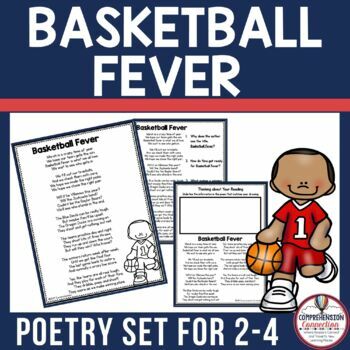 Children love playing, watching, and talking about sports, and because they find sports exciting, why not take advantage of that excitement and include sports themes in our teaching. You may find these activities fun this year, but just in case you want to wait til next year, here is a pin image you can use. I hope your team (if you have on in the tournament) does well. Mine lost in the second round, so I guess I'll be happy to have an earlier bedtime??!!? LOL! I agree! Children like to play. So why not mix learning with playing? It makes perfect sense to me. Thank you for sharing this with us!